2013 Metro Manila Film Festival (MMFF) List of Winners Announced - Balita Boss! 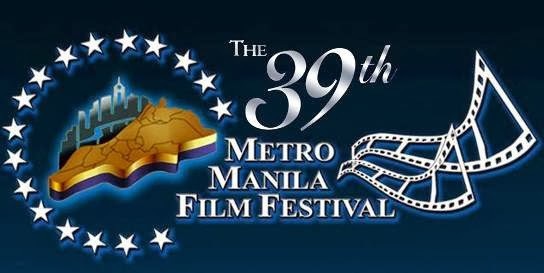 The 39th Metro Manila Film Festival (MMFF 2013) Awards Night held Friday, December 27, at the Meralco Theater in Pasig City. The awards night was aired on TV5. Eight (8) entries compete for the 2013 MMFF major award categories such as best picture, best actor, best actress and best director. The movie "10,000 Hours" dominated MMFF 2013 Award night! "10, 000 Hours" was proclaimed Best Picture during the awards night. "Girl, Boy, Bakla, Tomboy" was named 2nd Best Picture while "My Little Bossings" won 3rd Best Picture. Robin Padilla of "10,000 Hours" the Best Actor award and Maricel Soriano won the Best Actress award for the movie "Girl, Boy, Bakla, Tomboy." Joyce Bernal won Best Director for "10,000 Hours."